Audi A6 C5 1999 - will it work? 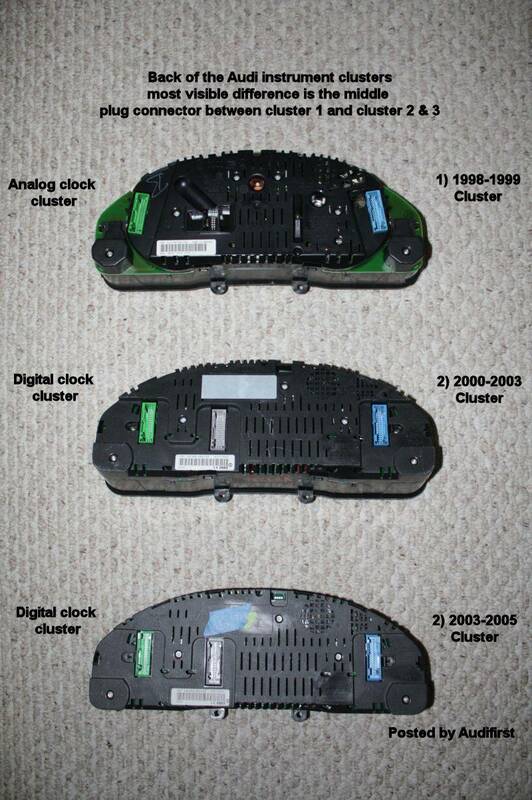 FIS-Control Forum → English forum → Audi A6 C5 1999 - will it work? Topic: Audi A6 C5 1999 - will it work? I would really like to try the FIS Control in my car. I have an Audi A6 2.5TDI V6 Avant Quattro (1999 model). It has a large board instrument cluster with MFA but it's the rare analog clock model. As you can see the middle connector is different. 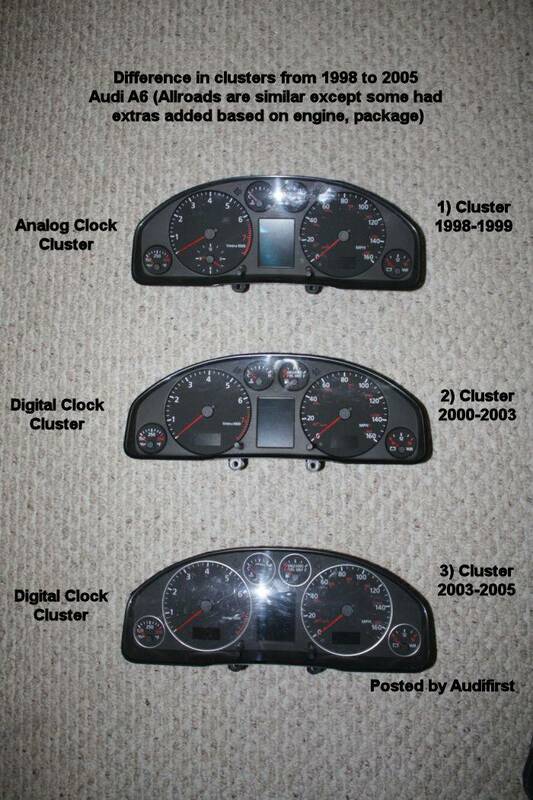 Do you have harness for this type of instrument cluster? Is it supported at all? I would love to add this feature to my car but I have doubts so that's why I'm asking it first. Re: Audi A6 C5 1999 - will it work? The FIS-Control 2.2 will work in your car, but not the FIS-Control light. Don't mind the cable set on the photo. You will receive the correct cable set for your car. What's the main difference between the light and 2.2? Because as I see the 2.2 costs more. Would I have any benefit with the 2.2 comparing to the light? The light's functions would be perfectly enough for me. But please read my answer above carefully: The FIS-Control light will NOT work in you car. Everything is clear, I will buy the FIS-Control 2.2 in the near future. Thank you for your help!